Ex-IMF director Carlo Cottarelli’s appointment as Italy’s interim prime minister was spurred by President Mattarella’s “obligation” to safeguard the euro and block the new Euroskeptic coalition from taking power, analysts told RT. 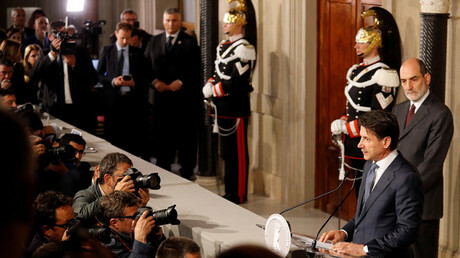 Italian President Sergio Mattarella announced the appointment on Monday, following his controversial decision to withdraw his support for the new government. Mattarella had objected to the Euroskeptic coalition’s choice for economy minister, Paolo Savona, insisting that the post must be reserved for someone who would not risk Italy’s exit from the euro. Savona, a respected economist, professor and former government minister, has been a vocal critic of the euro and advocated preparing “Plan B” for Italy on quitting the Eurozone. In remarks given shortly after, Cottarelli vowed to establish a new government “very quickly” and tackle pressing issues ahead of fresh elections to be held in the fall or early next year. "I'll present myself to parliament with a program which – if it wins the backing of parliament – would include the approval of the 2019 budget. Then parliament would be dissolved with elections at the beginning of 2019," Cottarelli said. However, Italian journalist Marcello Foa told RT that Cottarelli’s chances of forming a new government are “non-existent,” noting that the anti-establishment Five Star Movement (M5S) and its rightist coalition ally Lega Nord are unlikely to support Cottarelli’s efforts because they would then “lose all credibility with the voters.” The two parties were the top performers in March’s parliamentary elections and have spent the last two months negotiating the formation of a coalition government. 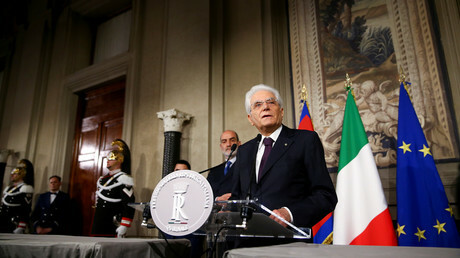 According to Foa, Mattarella’s recent political posturing has been motivated by a desire – perhaps even an “obligation” – to protect “the markets” and Italy’s status quo with the European Union. Lorenzo Pregliasco, professor of political science at the University of Bologna, believes the president was quite clear about the reasoning behind his recent decisions. Mattarella had “basically said we cannot afford to have a minister of finance who is such a vocal critic of the euro currency,” Pregliasco told RT. 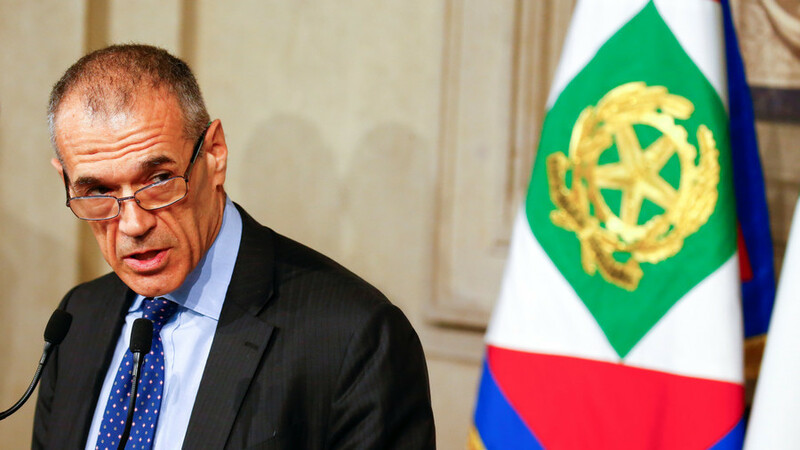 “What’s being said is that there are some mysterious powers behind the scene that are taking over,” Foa noted, adding that many Italians believe that Mattarella was somehow “obliged” to sabotage the formation of the new Euroskeptic government. To make matters worse, the media’s one-sided reporting has exacerbated the political crisis, Foa noted. Italy’s media were “totally against the [new] government. Totally. I mean, there was no real diversity – just a few newspapers [supported the coalition]. The others were all giving Mattarella’s version of the crisis. The Italian press has not been an example of freedom of pluralism,” Foa said.